What does it mean when we say blockchain adoption? In 2017, it was all about how initial-coin-offering could disrupt the traditional means financing or fundraising. Couple that with astronomical growth in all major cryptocurrencies, everyone was over the moon with their investments in this coin and that coin. Then came 2018, the year that has been dubbed Crypto Winter. There were panic, tears and disgusts raging in both the retail camp and institutions. It was apparent on social media. Anyone who had invested in late 2017, would be underwater in their investments. As quickly as it came, the hype was gone and talks of getting rich from Crypto died (or rather postponed). The focus shifted from making money to the adoption of the underlying technology: Blockchain. In 2017/early 2018, any news regarding a partnership or an acquisition would have been met with great anticipation. Mostly due to the increase in price action, buy the rumor and sell the news tactics. Nowadays, it is barely celebrated. The lack of hype and over the top excitement had a sense of uneasiness at first but that has created an environment for real technological advances to happen. It seems like every week, there will be an announcement about a government is launching or supporting a blockchain initiative. It is important to note that government adoption can be seen as a validation of blockchain’s massive potential. The Italian government had announced the first set of regulation for Blockchain technologies. The law states that now any record on the blockchain can be deemed as legal validation. Though still needing presidential approval, this is a great move by a government to legitimize blockchain technology. Thailand’s National Electronics and Computer Technology Center (NECTEC), a unit of the Ministry of Science and Technology is working on an e-voting system that can be applied to several types of election. This system is currently in test mode on a smaller scale. 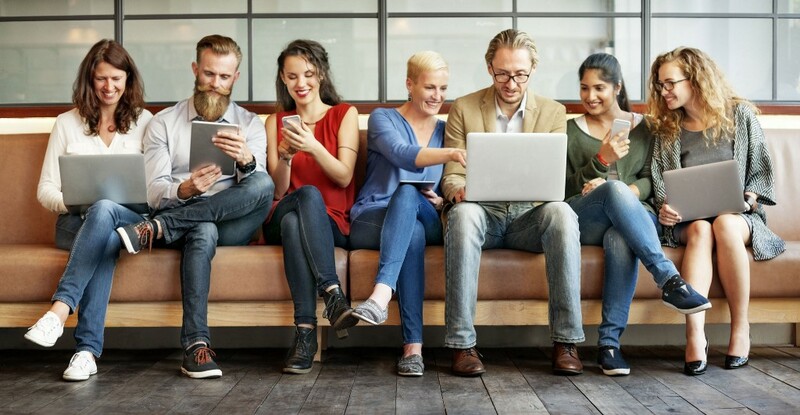 The benefits of e-voting can be massive as voters need only internet connection to participate rather than physically being present to cast a vote. A bill was introduced by the Washington State Senate that encourages the development of distributed ledger and blockchain technology. The bill provides legal recognition in digital signatures and licenses, in an attempt to validate Blockchain as a cryptographically secured database. As reported by Coindesk, the state of Wyoming has proposed a bill that would allow the issuance of tokenized stock certificates using blockchain technology. The bill aims to clarify the legality of digital assets and allow digital asset custody through banks. Authorities in Zagreb are looking to adopt blockchain technology and integrate it into the daily running of the state, particularly on safeguarding sensitive documents and the monitoring of business processes of local firms. Blockchain technology was cited to be used as a secure means of keeping official documents and digital certificates. Countries in the Middle-East, particularly Saudi Arabia and United Arab Emirates were reported to be launching an official interbank cryptocurrency. As of now, the project is at its pilot stage with not much information being given. Their goal during this experimenting phase is to better understand the implications of Blockchain technology in facilitating cross-border payments. Singapore has a number of instances that proudly proclaim themselves as supporters for blockchain. One, in particular, stood out for me: Owned by the Government of Singapore, Temasek Holdings and Singapore Stock Exchange have invested in a platform that allows fundraising via security token offerings. STO is essentially the tokenization of assets and Singapore is making a big statement in its stance for blockchain-based integrations. The Singapore Public Service could also adopt blockchain to verify vendors’ track records on the Singapore Government e-procurement portal, GeBiz, tracking a public officer’s career moves and auditing processes. Project Ubin is also another notable example of Singapore involvement in adopting blockchain technology. Besides Governmental bodies showing interest in blockchain, the next in line that will drive blockchain adoption is big private institutions. Ones that have shaped the world into what it is today. These big names will eventually encourage smaller businesses to experiment with blockchain technology. UN is exploring blockchain technology for climate action and sustainability. Thus, initiated Climate Chain Coalition. These are some examples of larger companies putting in resources into researching and experimenting with blockchain technology. It is possible to think that, these blockchain-as-a-service solutions will find its way into smaller businesses. Soon, the technology might just be used by the average joe without them even knowing. Based on this timeline, we only have 7 years (including 2019) to go until Blockchain becomes a part of our daily lives. Though I am more inclined to be a little more reserved, perhaps another 10 years will do the trick. The next few years could be crucial for blockchain advocates as education becomes the main focus. Educating all sections of the population from governments, the general public, and business owners. A similar comparison would be a simple text message. I believe this is another big sign of how fast blockchain adoption can take place. The statistics above show the number of mobile phone internet users globally have been increasing. In just 5 years, the number of Whatsapp users grew 7x to 1.5 billion users, a cool 20% of the world’s population. This statistic does not include Whatsapp’s competitor like Telegram, Hangout or WeChat. Today, it is unthinkable for someone to be without one of these messaging apps. As the world continues to be connected by the availability of the internet, we should be able to see blockchain being adopted by everyone. 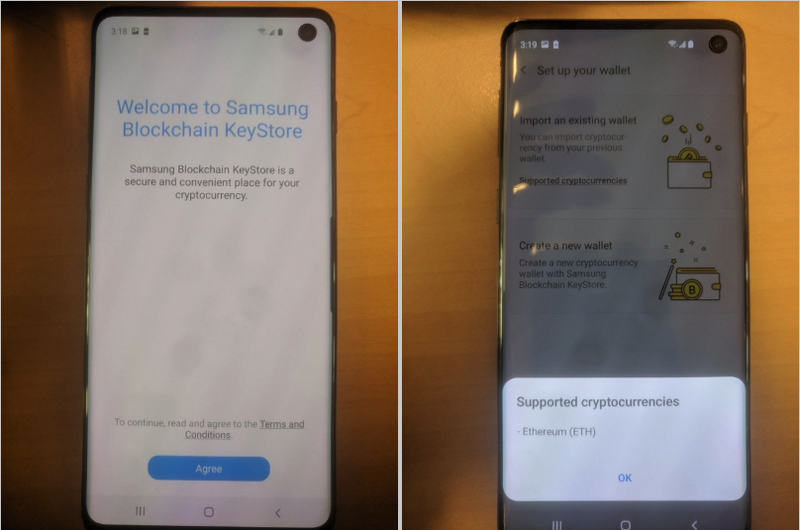 A leak from Samsung’s Galaxy S10 shows built-in cryptocurrency support. With the introduction of the Samsung Blockchain Keystore, users will be able to set the private keys and have access to their cryptocurrency wallets. No doubt, this function can be further secured with fingerprint, pin number, and password. This could lead to a major upsurge in Cryptocurrency adoption as newer users will be intrigued by this new addition, and current crypto enthusiasts can enjoy an easier experience with cryptocurrencies. Thank you for your time! Happy Wednesday! Blockchain Adoption Could Be Closer Than We Think was originally published in Hacker Noon on Medium, where people are continuing the conversation by highlighting and responding to this story.